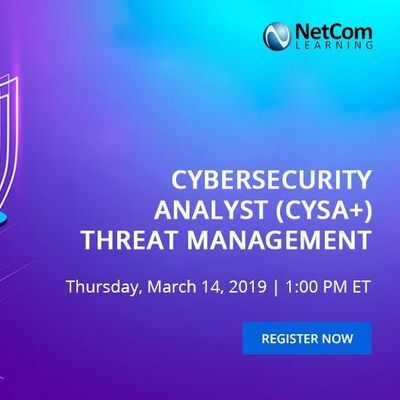 Join NetCom Learning trainer along with Managed Learning Services leader NetCom Learning for a complimentary interactive webinar on "Cybersecurity Analyst (CySA+): Threat Management". Cybersecurity professionals are accustomed to securing access to their networks and applications. But digital transformation leads to an explosion of connected environments where perimeter protection is no longer enough. Having a solid understanding of how to tackle cybersecurity threats using a behavioral analytics-based approach is a key skill in today’s world. 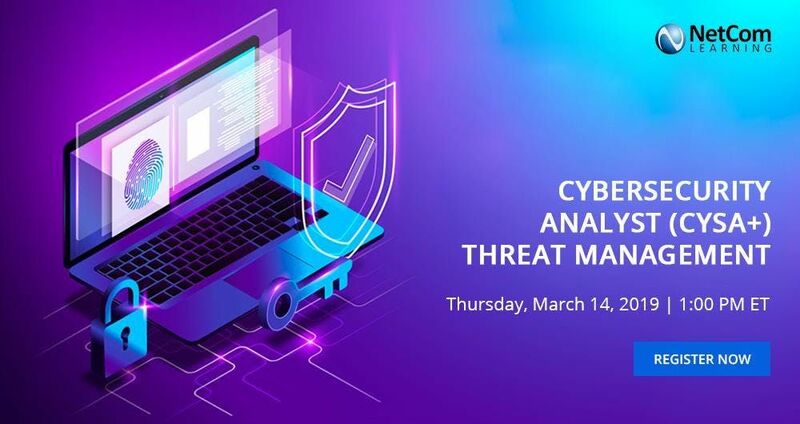 "Cybersecurity Analyst (CySA+): Threat Management" session will provide you with a foundational understanding of threat management practices and introduce you to the Threat Management domain of the CySA+ exam.